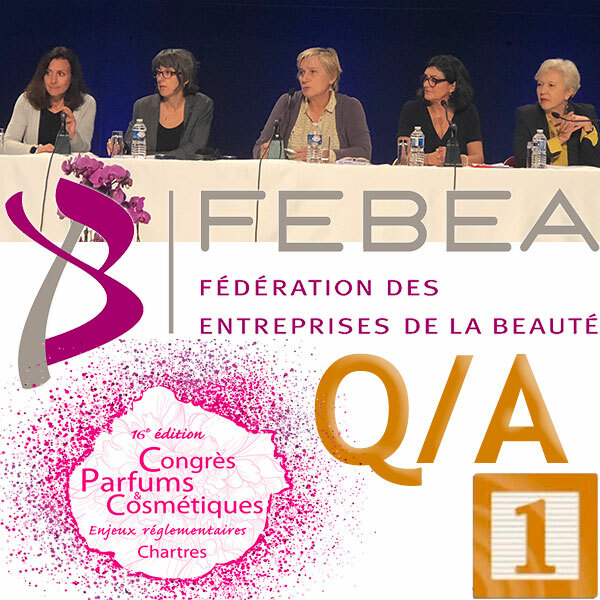 No less than 19 questions on the theme of cosmetic claims were asked by participants to the FEBEA’s scientific, regulatory, environmental and international affairs experts during the traditional Question and Answer session, which closes the Cosmetic Valley Perfumes and Cosmetics Congress every year. With a particular focus on the “Free from…” and “Hypoallergenic” claims, which are more than ever of concern, given the recent changes in the regulations that affect them and the texts that threaten them. The Technical Document resulting from the work of the European sub-working group on claims and the 8th revision of the ARPP Recommendation Cosmetic Products, both applicable from 1 July 2019, specifically target the claims “Free from…” and “Hypoallergenic”, making their use very difficult or even impossible. And even if these texts are not absolutely binding, they are nonetheless reference texts that both industry representatives and market regulators strongly urge to follow. What could be the sanctions for brands that have “Free from…” claims (e.g. Paraben-free) still on packs after July 2019. Will there be product withdrawal requests?